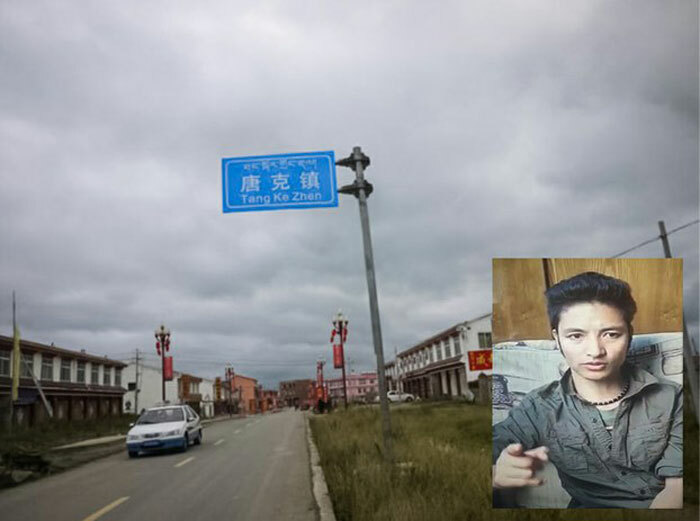 (TibetanReview.net, Apr19, 2015) – A Tibetan man who disappeared and was believed to have been detained by local government officials after the latter visited his home on Apr 13 in Thangkor town of Dzoege (Chinese: Ruo’ergai) County, Ngaba (Aba) Prefecture, Sichuan Province, is in hiding, reported Radio Free Asia (Washington) Apr 17. It quoted the man, Jigje Kyab, 39, as saying in a video message that he had evaded capture and was in hiding for the purpose of being able to present his case to higher authorities. The case refers to local officials’ grab of a village community land five years ago. Jigje Kyab, the custodian of legal documents showing the land in question as a village community land, has been leading a campaign to recover the property by protests and appeals to higher authorities. Jigje Kyab, also known as Jigme Kyab, disappeared after his home was visited by township officials on Apr 13, leading to belief that he had been taken away. “The main reason I went into hiding is so we can present our case to higher, provincial authorities,” the report quoted him as saying in his video message, while apologising to those who felt worried that he might have been detained. Jigje Kyab came to the local officials’ notice after he led a protest by some 20 residents of the town’s Karuma Village in Sichuan’s capital Chengdu on Jan 28. At that time, all were rounded up and taken back to their hometown. However, while most of them were released soon, Jigme and another man, named as Tsepak, were detained for a long time before being finally released.